I met Eyad Masoud during a year I spent coaching in Saudi Arabia. He is Syrian. His family fled the destruction of their homeland to live in Jeddah. He loves swimming but could not swim in Syria. The Americans, the Russians, the Turks and Assad’s army are in the process of destroying his country in order to satisfy Trump and Putin’s world bragging rights. Eyad has had family members killed in the conflict and his home has been bombed into a pile of rubble. The closest thing to a swimming pool in Eyad’s home town is a water filled bomb crater. Saudi Arabia offered better, but still far from perfect, training conditions. Because he was Syrian the Saudi authorities refused to let him swim in any public swimming pool. The apartheid practiced by the Saudi royal family is breath-taking. The only pool available was in the British International School. The school let Eyad train in return for taking swimming lessons. But even that was not going to last. To stay in Saudi Arabia Eyad needed a new Syrian passport. To get a passport he had to return to Syria. If he went to Syria he would automatically be conscripted into fighting for Assad. Life in Assad’s army promised to be nasty, brutish and short. Those words don’t mean anything in Trump’s America but they describe perfectly Eyad’s experience in New Zealand. But it began with a stroke of good fortune. An Auckland journalist recommended that Eyad contact Auckland barrister, Deborah Manning. If you are ever in need of immigration advice, call her firm. She explained the process and then carefully guided Eyad through the minefield of his refugee application. He could not have asked for better legal care. Immigration New Zealand has also been unbelievably good. They have a difficult job. Genuine refugees, like Eyad, need to be welcomed. Bad buggers and spongers need to be sent back to wherever they came from. In all Eyad’s contact with the Department I have been able to detect their efforts to determine which of those categories applied in Eyad’s case. Their attention was polite, rigorous and thorough. Eyad is still waiting for the Immigration New Zealand decision on his case. Whatever happens, he has been treated well. And Eyad’s New Zealand journey took another important step forward this week. He signed his first ever employment agreement and began working as a teacher for the Millennium Swim School. Two things are important about that. First the Millennium Pool staff have been open and welcoming. Their pool is certainly a lovely place to go for a swim. It’s clean and the staff are delightful. And the Millennium Swim School seems to exhibit the same happy, welcoming atmosphere. I have watched a hundred swim schools around the world. You get a feel for schools that provide a constructive and busy learning environment. You also quickly pick the signs of swim schools that don’t. The Millennium Swim School is first rate. You won’t go wrong enrolling your children in that school. Actually, while I’m on the subject of swim schools; west Auckland also has a very good swim school at the Waterhole Pool in Parrs Park, Henderson. So if you are looking for swim lessons “out-west” drive past West Wave and enrol at the Waterhole. In fact the only cloud in New Zealand’s welcome to Eyad has been the West Wave Pool. In spite of the fact that Eyad was banned from pools in Saudi Arabia and in spite of his family home being destroyed by the Russians, or was it the Americans, or was it Turkey, or was it all three; in spite of all that, because the West Wave pool manager doesn’t like me, I was forbidden from taking Eyad to the West Wave Pool. They were prepared to hurt an innocent refugee in order to get at me. Auckland has a first class Labour mayor with impeccable liberal credentials. I am sure Phil Goff would be appalled at the deception of his council’s West Wave Pool. And so, with all that immigration stuff going on, how has Eyad’s swimming progressed? He has been here, training regularly, for four months. When I met him in Jeddah his training amounted to a pretty unstructured 10 kilometres a week. The next table shows how this has improved since he arrived in New Zealand. His peak mileage has gone up to 71 kilometres and his average weekly distance has more than doubled to 38 kilometres. Eyad’s competitive results have reflected his improved training. When he arrived in New Zealand his Saudi best times were 58 for 100 freestyle, 25 for 50 freestyle and 29 for 50 butterfly. By any measure those times are pretty average. In only four months Eyad has improved his PBs to the times shown in the next table. I suspect Eyad is also the first refugee to win a senior Auckland Championship – the 50 freestyle and the Anthony Mosse Classic 50 freestyle. Of course, there is a long way to go. However Eyad has talent. Who knows how fast and how far his New Zealand journey might be. Whatever speed Eyad swims in the next few years, it is important to recognize Deborah Manning, Immigration New Zealand, the Millennium Pool, the Millennium Swim School, Swimming New Zealand and the Waterhole Club for making Eyad feel welcome; for giving hope to a guy who arrived with only the dream of a better life. Your example represents the very best of the place Eyad now calls home. I have just spent the weekend at the 2018 Counties Age Group Championships. The meet is held each year at the Papatoetoe long course out-door pool. Without question this meet and the Hawkes Bay Poverty Bay Championships in the Gisborne Olympic pool are my favourite swim meets. In many respects they are very similar. Dozens of tents and scores of $12 Warehouse canvas picnic chairs cover the grass around the pool. While they wait to race young swimmers arm wrestle. Some practice cart wheels and others dare one another to stand on an iron man-hole cover made boiling hot by the sun. You’d struggle to call some swim meets fun. But the Counties Age Group Championship certainly merits that title. They do all the old fashioned stuff so very well. It gives the occasion a sense of nostalgia; of warmth; of good times. They play the national anthem before the meet begins. They have a team march past with prizes for the best fancy dress. They hand out best-time ribbons and post over a 1000 photographs of the event on the internet. One lady said to me as we were leaving on Sunday night, “If you say anything about us on Swimwatch, make sure it’s nice.” She need have no concern. Her meet is nothing but good. And I don’t mean that in a condescending way. All the important stuff is done well. The psych-sheets are posted well before the event. The meet runs on time. The results are electronic and are posted within minutes of end of the race. Medals are instantly available for event winners. And if, like me, you forget to clear your club’s post box the meet organizer reminds you there are medals to be collected. Talking about organizers; obviously a meet like this requires 101 officials. The Counties meet always seems to have plenty of volunteers. However Jeannie and Geoff Sibun merit special mention. They have been organizing this meet for longer than I can remember. Their warm, relaxed efficiency is reflected perfectly in the sincerity of their swim meet. You may remember a Swimwatch post, a couple of weeks ago, mentioned the incredible figure of eighty-two disqualifications made at the Anthony Mosse swim meet. Well the Counties meet is also a three day event involving much the same age groups. And yet at Counties there were 22 (27%) fewer disqualifications. I don’t believe for a minute that means the judges at Counties were slack and let swimmers break the rules. I also don’t believe swimmers in Auckland are 27% worse than swimmers in Counties. Many of them are the same swimmers. I just think Counties has found a better balance between efficiency and fairness. The swimmer I help, Eyad Masoud, had a good meet. He entered six events – the open men’s 50, 100 and 200 freestyle, the 50 and 100 butterfly and the 50 breaststroke. He won them all. That does not mean the competition was poor. The standard of the clubs that were there was too good for that to be true. One look at the names of past winners confirms the quality of the Counties meet; Paige Schendelaar-Kemp, Corey Main, Verity Hicks, Orinoco Faamausili Banse, Gabrielle Fa’amausili and Jane Ip. I was especially pleased with Eyad’s breaststroke. Even Eyad will admit, he is not the best breaststroker in the world. His best 50 prior to this meet was a very average 34.45 seconds. On Sunday he won the race and improved his personal best to 32.71. I think he still needs to stick to freestyle and butterfly. However it’s fun when an “off-event” goes well. Eyad loved the meet. Coming from Syria and Saudi Arabia he has never seen sport played in the relaxed, fun way that Counties do so well. He has never had small boys pinch his arms and ask if he did a lot of weights to get muscles that big. He has also never swum in the rain. And he got to do that during a thundery heat shower on Saturday afternoon. So, thank you Counties for a terrific weekend. We enjoy your meet a lot. If you don’t mind, we’d love to come back next year. And so the great Swimming New Zealand experiment in centralized training has come to an end. The announcement of the new Targeted Athlete and Coach Manager formally brought the curtain down on this sorry chapter in New Zealand swimming history. For fifteen years and at a cost in excess of $20million Swimming New Zealand promoted its centralized Millennium program. And the business failed. Bankrupt for results and bereft of customers the Millennium centralized swim program was relegated to the dustbin of history. However, the events that occurred here should not be forgotten. Whenever a business failure of this magnitude happens it is important to look at the lessons learned. It is even more important to consider whether there has been criminal wrongdoing. Has there been behaviour that has been so careless, so cavalier that it meets the standard of criminal negligence, fraud or abuse of position and power? Have the directors of Swimming New Zealand exercised informed, independent and good judgement? Have they acted with care, diligence and skill or do their decisions reach a standard of recklessness that has caused the “insolvency” of this program? Was their prospectus a fraud? I am not a lawyer. “I don’t know” is the answers to these questions. However I do think that the Swimming New Zealand Board has charges that it needs to answer. Two provisions of the law may apply. (c) to induce any person to entrust any property to any other person. And second, the performance and collapse of the Swimming New Zealand centralized high performance program could leave the directors liable under the Fair Trading Act. The Fair Trading Act promotes accurate consumer information before a service is acquired. What a business says about its services in advertising or tells consumers is important. And so, how did the Board of Swimming New Zealand promote its Centralized High Performance program? Well their proposals certainly never lacked for superlatives. The prospectus sought to attract New Zealand’s best swimmers with extravagant and unwarranted claims. In the table below I have reproduced some of the representations made by Swimming New Zealand; representations that I believe were false and unsubstantiated. · The High performance Centre has an open door policy for targeted athletes and coaches within a world class coaching and training structure. · Swimming New Zealand is recognised as having one of the leading high performance programmes. · We develop, retain and attract exceptional world class coaches who consistently deliver continuous improvement and excellence. 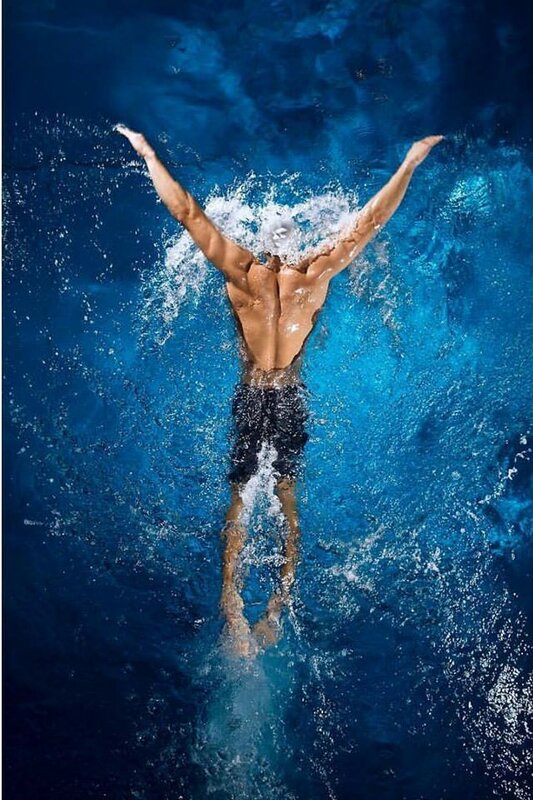 · Most of New Zealand’s elite swimmers are based at the Institute. · SNZ now partner with High Performance Sport New Zealand to provide a world class specialist high performance environment based at the AUT MISH, Mairangi Bay, Auckland. · The Wellington Regional High Performance Centre is the first in what we envisage will increase to 2-3 regional high performances centres throughout New Zealand in the future. And the prospectus worked. Good swimmers were sold on the Swimming New Zealand fairy tale. The offer of those superlatives could not be resisted. For fifteen years the commitment of two generations of New Zealand’s best swimmers was total. Swimming New Zealand offered them a swimming paradise and swimmers bought into it with their sporting lives. Just think about that for a second. These swimmers paid more than money to buy the product being sold by Swimming New Zealand. Money would have been easy. Money would have been cheap. These swimmers paid with their lives. They gave Swimming New Zealand their dreams. Young New Zealanders left their home clubs in Christchurch, Hamilton, Auckland, Gisborne and a dozen other towns and cities to swim in the Swimming New Zealand program. No one can blame them – the prospectus sounded too good to be true. And that is exactly what it was – too good to be true. It was all lies; all just smoke and mirrors. The Swimming New Zealand centralized program was never a world class coaching and training structure. For fifteen years, at a cost of more than $20million they tried and never won an Olympic medal. The claim that their program retained and attracted “exceptional world class coaches” is a lie. Truth is the Swimming New Zealand program was chronically incapable of retaining any of its coaches. In fifteen years I can think of twelve coaches who have had a crack at coaching the Swimming New Zealand program; David Lyles, Gary Hurring, Sam Turner, Jan Cameron, Thomas Ansorg, Mark Regan, Scott Talbot, Clive Power, Jerry Olszewski, Bill Sweetenham, Luis Villanueva and most recently the coaching intern Mat Woofe. Twelve coaches in fifteen years is not “exceptional world class” coaching. Leaving a coaching intern in charge is also not “exceptional world class” coaching”. And then the Swimming New Zealand Board used the lure of “swimming-with-the-best” to attract their next batch of recruits. Most of New Zealand’s elite swimmers, they say, are based at the Institute. That was not true. The truth was that as the really good swimmers discovered the sham reality of the High Performance program they packed their bags and caught a flight out of here. Swimming New Zealand’s false representations were recognized and exposed. Boyle and Stanley went to Australia, Snyders and Batchelor went to California and Main and Schendelaar-Kemp went to Florida. Far from “most of New Zealand’s elite swimmers” the Swimming New Zealand High Performance program was a case of, would the last surviving swimmer switch off the lights. And finally Swimming New Zealand offered the prospect of longevity and growth. Their message was “join us, our program is going places”. They said, “The Wellington Regional High Performance Centre is the first in what we envisage will increase to 2-3 regional high performances centres throughout New Zealand in the future.” The truth is that shortly after that prediction the Wellington Regional High Performance Centre was closed and the coach was sacked. And, of course, there have been no 2-3 other regional high performance centres either. It was all reckless, misleading and deceptive. And so, do I think that the Board of Swimming New Zealand has made or published false statements, with the intent to deceive or cause loss to any person, or to induce any person to entrust them? Do I think that the Board of Swimming New Zealand has been reckless as to the whether the statements are false in material particulars?” And has the information published by Swimming New Zealand been misleading and deceptive? Has it contained unsubstantiated claims and false representations? In my view the answer to all those questions is, “most certainly yes”. Their behaviour won’t be investigated. But it should. And the penalty for the lies, the deception, the incompetence, the waste of $20million and the lost potential of some of New Zealand’s finest young swimmers should be the resignation of the entire Board. A Board should not be allowed to waste the lives of two generations of New Zealanders and get away with it. A few days ago the Board of USA Gymnastics had to resign because of negligence. I don’t see how this is all that different. But for this Board it was only a few teenage swimmers who lost their life dreams. What does that matter? The appointment of Gary Francis to the position of Targeted Athlete and Coach Manager is welcome. There is huge potential for the position and the person to benefit swimming in New Zealand. In a previous Swimwatch post we explained why that potential will only be realized if Johns and Cotterill get out of the way and let Francis do his job. To the extent that Johns and Cotterill define and control the way Francis goes about his job, to that extent Francis will fail. Why? Because the people telling Francis what to do have no idea about swimming matters. No matter how good Gary Francis might be, if Johns and Cotterill order him to follow policies that do not work, then Francis will fail. For many years New Zealand swimming has seen what happens when good people try and make bad policies work. Swimming New Zealand spent a dozen years and $28million on trying to make the Millennium Institute centralized training program work. It failed, not because every coach or manager that went there was incompetent or stupid. In fact some of the coaches that tried and failed were very good – Ansorg, Cameron, Reagan and Power for example. No, SNZ failed because good people were given an impossible brief. The policy was wrong. Administrators like Miskimmin, Baumann, Byrne, Renford, Cotterill, Johns, Coulter and Layton insisted that knowledgeable and able swimming people must make their centralized program work. And when it didn’t they blamed the coach and went off looking for someone else. And when he failed they did the same thing again – over and over; ten times in fact. They were simply incapable of understanding that their policy was the problem. No matter how good the coach, a square peg simply will not go into a round hole. Terrifyingly there are signs that the same pig-headed ignorance is already happening with the new Targeted Athlete and Coach Manager appointment. Here is what the Swimming New Zealand announcement of the Gary Francis appointment says. “Francis will take lead responsibility for fostering and managing positive working relationships with SNZ’s soon to be announced targeted athletes and coaches. The Targeted Athlete and Coach programme is a new initiative that will form part of the refreshed SNZ High Performance Strategy that will be communicated to the swimming community shortly. The strategy will aim to provide support, guidance and leadership to identified targeted athletes and coaches regardless of where they live and train. But there is a serious flaw in that plan; a flaw that will ensure that Gary Francis and New Zealand swimming will continue to fail. The flaw is in the preparation of the list. It is impossible to pick winners like that. For example Lauren Boyle would never make the Swimming New Zealand list. In age group competition she was always back in fourth of fifth place. Toni Jeffs would never have been on their list. She barely qualified for age group championships. Peter Snell couldn’t win his high school sport’s 800 meters. Johns would skip his name in a heart-beat. In order to confirm that impression I prepared a list of the winners of every event in the 2007 and 2010 National Junior Championships. This means that in 2017 the swimmers were between 17 and 22 years of age. So there were two questions – how many of the junior national champions from 2007 and 2010 were still swimming in their late teens and early twenties and how many were swimming at the same championship winning level? With the exception of Corey Main and Paige Schendelaar-Kemp none of the big multiple winners are still swimming. And second there were a couple of winners who were huge margins ahead of the competition. Katie Hohaia won her 100 meter breaststroke by six seconds. In 2010 she must have been the toast of national swimming. I can imagine she was the first name on the national coach’s list of “great kids”. But her success was not enough. She joined the 80% who leave the sport. Swimming New Zealand’s lists ignore the fact that 80% of the great kids are going to be nowhere near a swimming pool in six years. That is an inconvenient truth that needs serious attention. Dr John Mullen, editor of the “Swimming Science Research Review”, conducted a study similar to my New Zealand analysis. Mullen looked at swimmers at a much higher level than those in my New Zealand analysis. His study examined 87 swimmers who had competed in the 2008 Junior World Championships and evaluated their performance in the 2012 Olympic Games. Of the 87 swimmers, 66 swimmers (76%) did not participate in the Olympic Games. Of the 21 swimmers (24%) who did qualify to compete in the Games, no one won a medal and just 3 (4%) managed to qualify for a final. The table below summarises and compares my New Zealand Junior Championship study results with Dr Mullen’s Junior World Championship results. The studies looked at very different levels of competition; one local and the other international. The findings however are remarkably similar. The data confirms that in both studies about three quarters of the swimmers retire from swimming after their success at a junior event. About one quarter make it through to the senior ranks and about 5% are successful. Scientists at the American Aquatic Research Centre in Boulder, Colorado agree. In one study they scanned the hand joints of every member of the American Olympic swimming team. Their purpose was to determine what portion of the swimmers had been early developers, on time and late developers. Evidently the rate at which the hand joints close can measure an individual’s physical maturity. Of the forty athletes tested only two had matured early, five had matured on time and the majority were late developers. Take Ashley Rupapera for example. In 2006/07 she was amazing; at 14 years old she claimed her second New Zealand national age group record with a 100IM time of 1:05.30. In the Junior Championships she entered 13 individual events, swam in 22 races and won four gold medals and two silver medals. I don’t know what Ashley is doing today. However, sadly, it does not include elite New Zealand swimming. There are 5,660 competitive swimmers registered in New Zealand. Every one of them should be on Swimming New Zealand’s targeted list. We have no idea where the next Loader or Jeffs is going to come from. Any list shorter than that is bureaucratic nonsense. It will mean nothing. Any list shorter than that means Gary Francis will join a long queue of good people trying to fit a Swimming New Zealand square peg into a very small round hole. Swimming New Zealand has announced that Gary Francis has been appointed their new Targeted Athlete and Coach Manager. I think Gary is a good choice. He is a great guy. More than that, his pedigree in swimming and his academic background are beyond reproach. In 1988 he graduated from the US International University with a BA in Psychology. In 1991 he went on to study Physical Education at England’s prestigious Loughborough University. The history of that University is steeped in sporting excellence. Students include Sebastian Coe, Paula Radcliffe, Clive Woodward, Gerald Davies, Caitlin McClatchey and Sarah Price. In 2016 over 80 students, graduates and Loughborough-linked athletes competed in the Olympic and Paralympic Games. In the Olympic competition Loughborough athletes secured 12 medals, including 5 golds, meaning if Loughborough University was a country it would have finished two places ahead of New Zealand in 17th place on the medal table. With a degree in Psychology and study at Loughborough, Swimming New Zealand will have the benefit of a well-trained sporting education to call on. I hope they realise that and use it wisely. And since graduating Gary has been involved in swimming from junior learners through to international competitors. In New Zealand his involvement in swimming began in 2007 when he was appointed Head Age Group Coach for the North Shore Swimming Club. In 2010 Gary was promoted to Assistant Head Coach and finally in 2014 he transferred to Paralympics New Zealand as their National Development Coach. The thing I admire about that experience is that it involves working at the coal-face. It has meant years of walking around a swimming pool actually teaching the skills of swimming fast. In 2008 he was quoted in the press as saying his mantra for success was, “work hard and attention to detail.” Gary is no office junky who has brown-nosed his way to a top job. He knows about 5.00am mornings, of 70 kilometre weeks and all day swim meets. For years he has experienced the exposure of taking swimmers to championship meets where six months work are about to go under the microscope. But Gary’s experience is even deeper than that. Both his daughters were very good swimmers and Chloe was exceptional. I have been fortunate enough to have lived with a wife and daughter who were both national champions, open record holders and national representatives. Without question having members of your family compete at that level and living with them through it all, teaches you more about the life of an elite athlete, in a shorter time, than any arm’s length experience. Gary’s daughter could swim times like 1.02 for 100 IM, 1.09 for 100 breaststroke, 2.00 for 200 freestyle, 59 for 100 fly and 2.13 for 200IM. That’s class swimming. The fact that Gary was her coach and she swam that fast and I imagine still speaks to her Dad, says all I need to hear about his knowledge and understanding personality. And so do I have any reservations about his appointment? Just one, is the answer. And strangely enough my reservation lies in one of the first sentences used in this blog. “He is a great guy.” We know that the Swimming New Zealand Chairman, Bruce Cotterill has been accused elsewhere of applying the term “It’s easy to soar like an eagle when you surround yourself with turkeys.” My worry is that Cotterill and Johns may have taken the mild manner and polite reservation of Gary Francis as a sign of weakness, a sign that Gary will be amenable to any policy direction they choose. I hope that’s not true. Gary needs to remind himself constantly that he has forgotten more about swimming than Cotterill and Johns together have ever known. His academic and practical training in sport are light years ahead of theirs. For the good of New Zealand swimming Gary Francis needs to lead. We have already seen what happens when policy is set by the other two. It has not been good. If ever proof was needed, just look at the personalities of three men who turned around the swimming fortunes of their countries; Don Talbot in Australia, Mark Schubert in the United States and Bill Sweetenham in the UK. All three were absolutely uncompromising, tough, swimming knowledgeable and driven by a self-belief in a personal philosophy and direction. Oh, and all three left swimming in their countries stronger and more successful than it was when they began. Does Gary Francis know as much about swimming as those three? Yes and in some respects he knows more. His background includes administration, junior swimming, elite swimming and para-swimming. He knows about swimming all right. Has he served his time on the side of a pool like they have? Yes. All four are very experienced in the coal-face of the sport. Has the scope of his swimming experienced matched theirs? Yes with the possible exception of experience at the top of the sport’s national federation. Gary is going to get that now. Is his academic training the equal of theirs? No, it’s better. Is he as tough and uncompromising as they are? This I don’t know. Certainly Gary comes in a more polite, more dignified package than the other three. Whether there is an uncompromising core of steel inside, we are about to find out. I hope so. A good guy is being thrown into a den of unsuccessful bureaucrats who know only a fraction of what he knows about swimming. The reality is that like Schubert, Sweetenham and Talbot, his job will be to lead the organisation. Whether Cotterill and Johns have the brains to let him do that, we will see. Whether Gary has the courage to do what’s right and ignore the political fallout; I hope so. And so Gary. Good luck and God speed. If you do what is necessary, I predict the next couple of years are going to be difficult. Your job will be at risk many times before you turn this lot around. But the sport needs you. And for that you begin with all our best wishes.